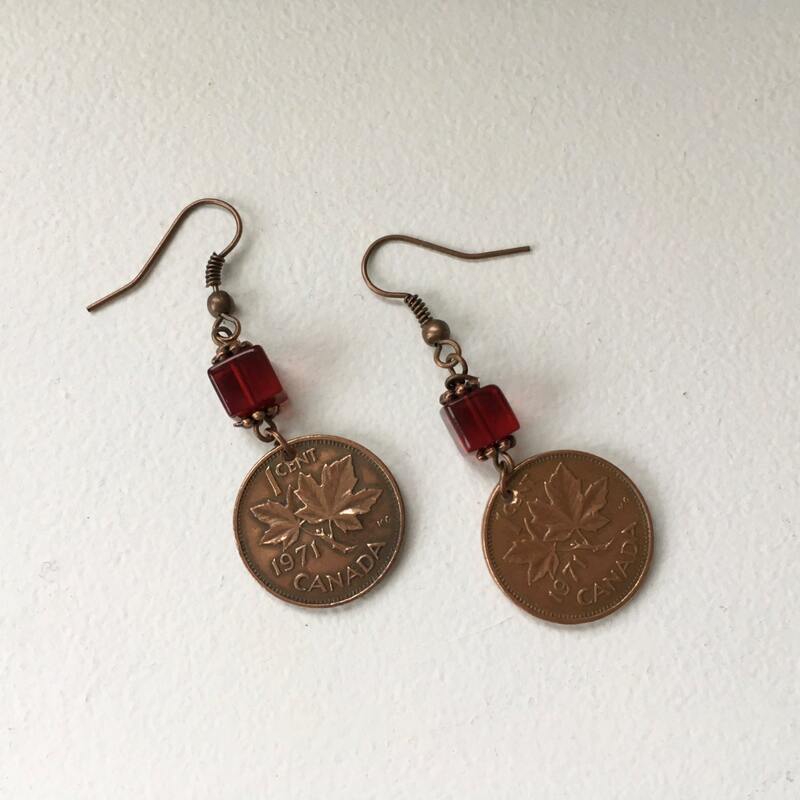 Canadian coin earrings handmade using pretty 1c coins or pennies with maple leaves on one side and Queen Elizabeth on the other. 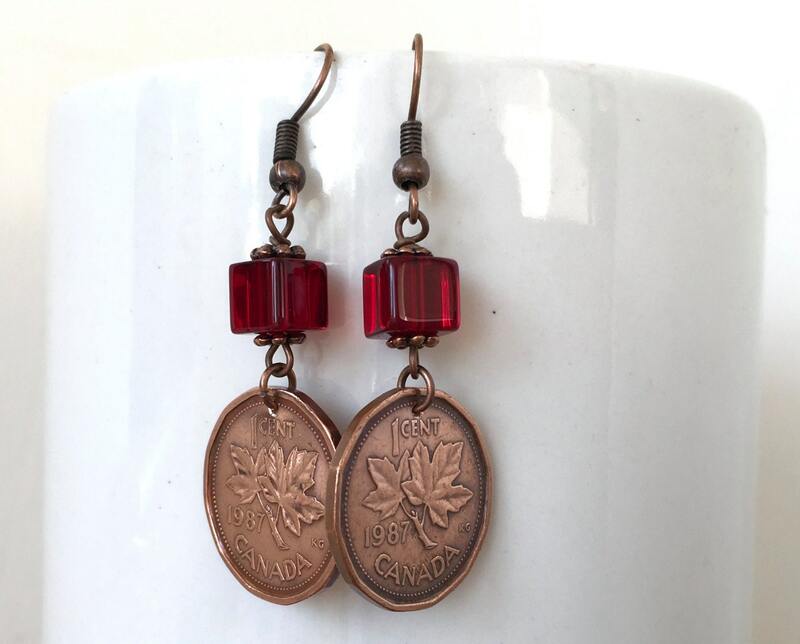 I have used red cube beads to represent the red on the Canadian flag. 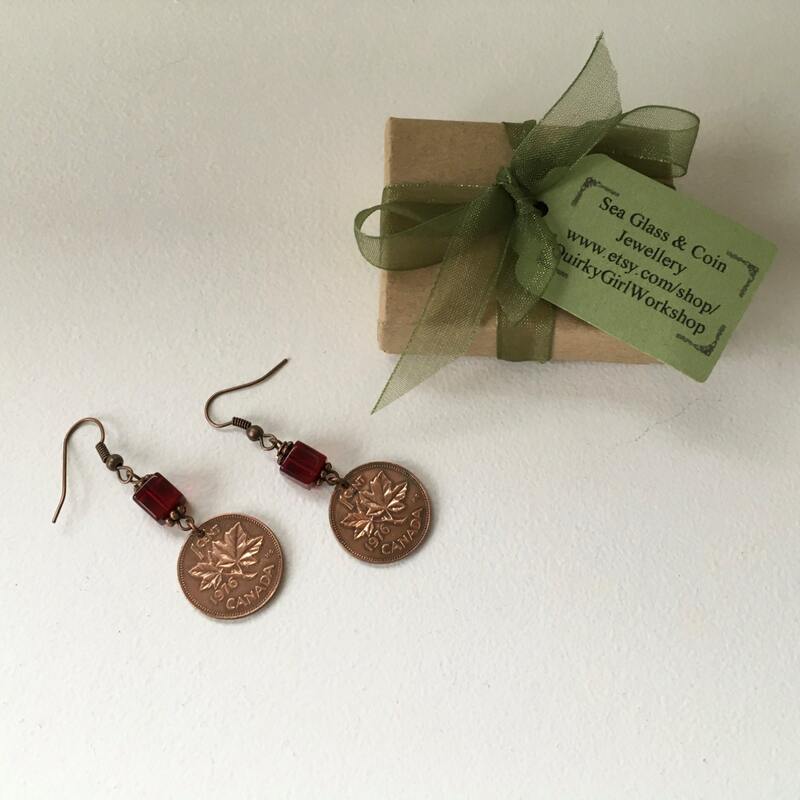 These earrings would make a perfect birthday or anniversary gift. 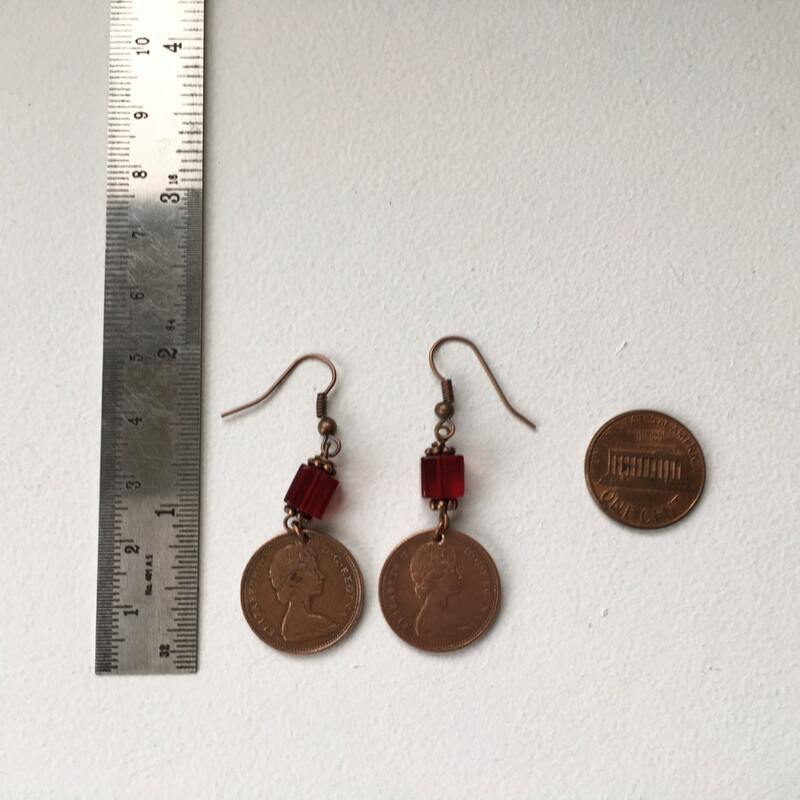 Very cute set of earrings. It was a gift and the wrapping/packaging was perfect. Thank you! 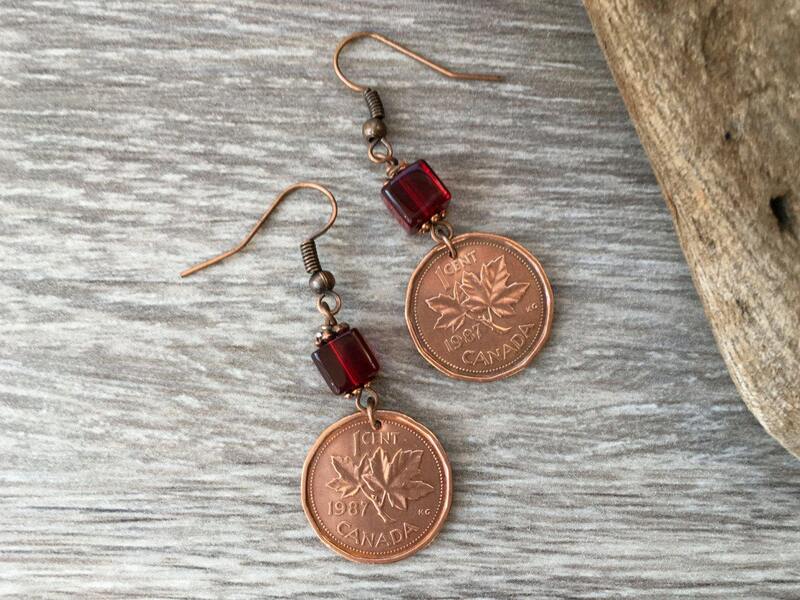 Beautiful earrings which make such a personal gift for someone from Canada. The communication and service is beyond reproach. I am so impressed I'll definitely be using this company again.